Clayborne Education CEO Lee Elberson Joined Jerry Miller On The I Love CVille Show! 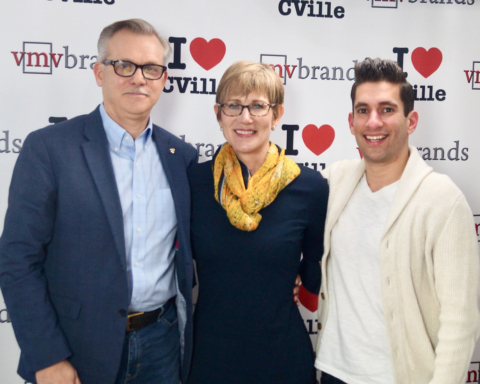 Lee Elberson, the CEO of Clayborne Education, joined me on The I Love CVille Show powered by Greenberry’s Coffee at Barracks Road, four generation strong Intrastate Inc., trusted real estate firm Roy Wheeler Realty Co. and the good Doctor Scott Wagner of Scott Wagner Chiropractic and Sports Medicine! (1). Lee serves on the board of the Community Investment Collaborative. I asked Lee to put the CIC into perspective. What is the CIC? How is the CIC helping entrepreneurs in Charlottesville and Central Virginia? How can an entrepreneur join the CIC? What are some of the CIC success stories? Lee spotlighted Antwon Brinson, Frances Ingram and other successful entrepreneurs from CIC on the show today. (2). We discussed the evolution of Clayborne Education. Did you know that Clayborne Education purchased CVille’s Champion Tutoring to expand its marketshare? Did you know that Clayborne is expanding its business to Richmond, Virginia? All these topics came up on the show, including the vertically-integrated nature of Clayborne Education. For example, Clayborne is now publishing its own text books and tangible learning material. How cool is that?!?! (3). We spotlighted Lee’s passion for Charlottesville, Virginia on the show today. This dude truly LOVES CVille!! It’s so obvious. Lee is a confident, charming, creative conversationalist whose zest for life is truly contagious. Charlottesville is lucky to have Lee Elberson. (4). We talked about the achievement gap in our Central Virginia school systems and how that achievement gap is directly correlated to household income and having two parents present and active at home. Lee really offers awesome perspective on this topic! (5). We talked about the next steps and goals for Clayborne Education. What can we expect from this fantastic business? (6). Here’s an awesome fact: Clayborne Education gives 10% of its gross revenue to non-profits and charities in and around Charlottesville and Central Virginia!! How cool is that? I call this “conscious capitalism” or “social entrepreneurship!” This is the entire concept behind iLoveCVille.com!! If you liked this article, you might also enjoy Breaking News: Chef Laura Fonner Will Be The New Owner Of Duner’s Restaurant! and CACVB Interim Director Adam Healey Is Frustrated With Mayor Nikuyah Walker’s Representation Of CVille In The New York Times! At I Love CVille, we feature the best of Charlottesville, Virginia. You’re going to love the I Love CVille network. 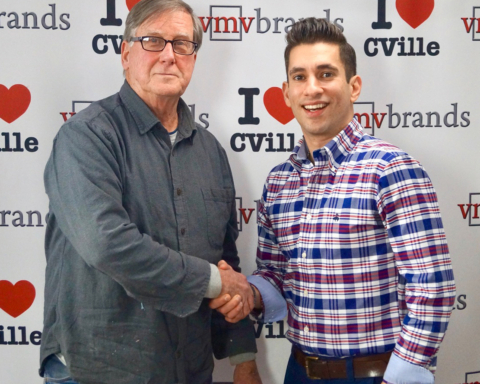 Jerry Miller is the president of VMV Brands and the publisher of Scoutology.com and I Love CVille, which are all head-quartered on The Historic Charlottesville Downtown Mall. Jerry is passionate about the #ShopLocal movement and supporting local merchants, restaurants, breweries and wineries. Get to know Jerry at JerryMillerNow.com. Attorney Elliott Harding Joined Jerry Miller On The I ❤️ CVille Show! Susan White & Marty Betts Joined Mary Birkholz & Jerry Miller On The Caring For Creatures Show! Entrepreneur Carl E. Brown Joined Jerry Miller On The I ❤️ CVille Show! Previous Story Previous post: Breaking News: Chef Laura Fonner Will Be The New Owner Of Duner’s Restaurant! Next Story Next post: Powerhouse Realtor Kimberly Coe Johnson Joined Me On The I Love CVille Show! Charlottesville City Council Candidate Bob Fenwick Joined Me On The I ❤️ CVille Show! 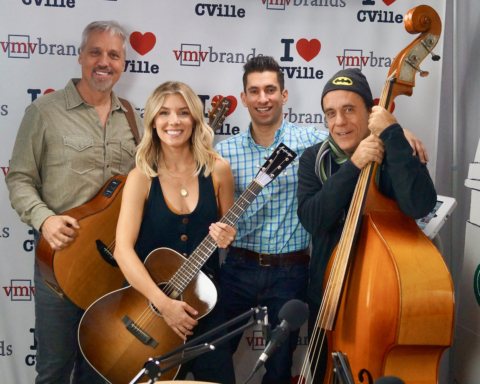 Musicians Lora Kelley, Michael Clem and Eric Heinsohn Joined Jerry Miller On The I ❤️ CVille Show! 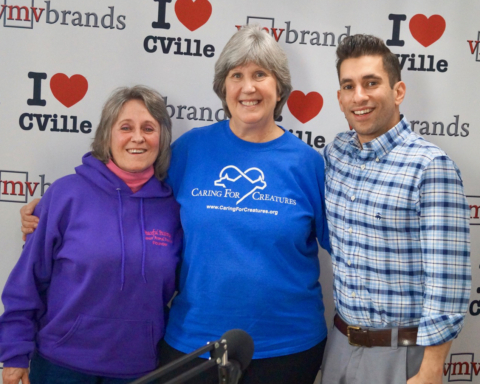 Mary Birkholz Of Caring For Creatures And Jackie Meyers Of Peaceful Passings Senior Animal Rescue Joined Jerry Miller on “The Caring For Creatures Show” on The I Love CVille Network! Entrepreneurs Yonna & Keith Smith Joined Jerry Miller On The I Love CVille Show! 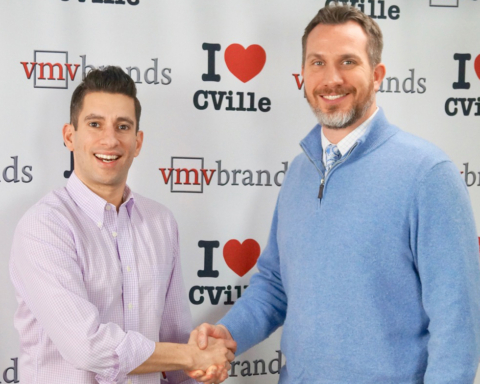 Entrepreneur Michael Buczynski Joined Jerry Miller On The I Love CVille Show! Simply put, Scoutology is an innovative way to find out about, and participate in, what’s going on near you. Copyright © 2008-2019 VMV Brands All Rights Reserved.